Little Hands Nursery School – Melbourn, having a dedicated baby room, provides quality preschool care and education for children aged six months and over. The setting occupies the former Melbourn Village Sports & Social Club, ideally situated between the children’s play area and sports field on the Moor in the heart of Melbourn village. The large, bright and airy main Butterfly room, with direct access to both the indoor soft play area with ball pool and the fully equipped, totally enclosed and imaginatively landscaped ‘indoor / outdoor’ play area, overlooking the sports field. The Caterpillar room which, whilst giving our two and rising three year olds their own space, also gives access to the Butterfly room where, as confidence and curiosity grow, they can mingle with their peers. The Ladybird room at the front of the building gives our younger children a space they can call their own, should they choose to do so. 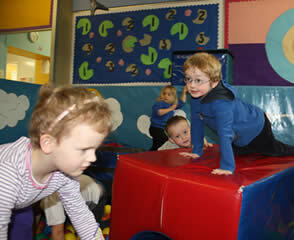 The Bumblebee room, adjacent to the Ladybird room is our dedicated baby room. 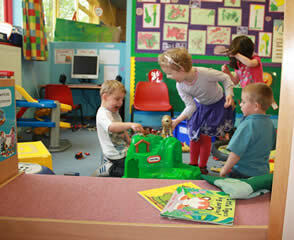 This light, bright and homely room gives older toddlers and opportunity to access the Ladybird room where, under supervision, they can look and learn from the older children. 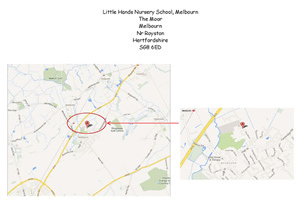 Like the Linton & Bartlow Nursery, Melbourn differs from the other Little Hands settings in providing this dedicated and separate baby room facility. For details of the Nursery Schools' opening hours and term times etc, please visit the “online information” section of the website. 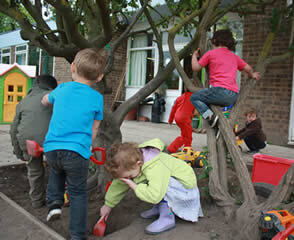 © Little Hands Nursery Schools, all rights reserved.